That’s the question Kellogg Community College student Brandon Withers and a few of his friends were asking as they passed out copies of the Constitution and spoke to their fellow students about starting a chapter of Young Americans for Liberty (YAL) on campus. While this seems innocuous enough, it was later that day that campus security confronted the group, put three of them in handcuffs for “trespassing,” and escorted them to the county jail where they spent seven hours. 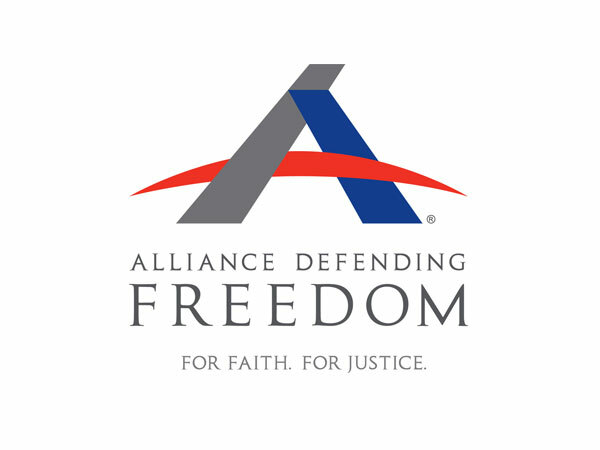 Today, Alliance Defending Freedom filed suit against Kellogg Community College in Michigan on behalf of Brandon and YAL at Kellogg Community College (KCC). The problem is that KCC’s speech policy, what they call a “Solicitation Policy,” regulates a wide variety of student expression. Things such as leafleting, assemblies, speeches, and circulating petitions are all greatly restricted, but they also happen to be protected by the First Amendment. In order to partake in any of these constitutionally-protected activities at KCC, student groups must first receive written permission from the Student Life Office, and the Student Life Office can decide where student groups must stand in order to communicate with fellow students. Never mind that the Student Life Office has the ability to approve or deny the request as they please, can limit students to whatever out-of-the-way location they please, and can do so in whatever time frame they please, since there are no comprehensive criteria for KCC officials to use when considering each request. Brandon and his group were outside on a campus walkway talking to passing students and handing out copies of the Constitution when two KCC officials approached them. First an administrator and then the Manager of Student Life told them that they must have a permit from the Student Life Office in order to be “soliciting.” The Manager also said that they could not use this walkway for their activities. The group calmly explained that they had a constitutional right to be there. While the administrator conceded, the Manager of Student Life did not. He even went so far as to say that, by asking questions and handing out Constitutions, they were “obstructing” the education of the students with whom they spoke. Later, members of KCC campus security, including the police chief, ordered them to stop engaging in “solicitation” or they would be arrested for trespassing. Brandon complied with the order, leaving to wrap up some other items on campus, while the other three members of the group reiterated their right to be there. And you know how the rest of the story goes: handcuffs, jail time, criminal charges. You can help spread the word about the unconstitutional speech policies popping up at public colleges and universities across the country by sharing this post.